Sophomore Maya Grudman vaulting at the Asics Triton Invitational this past Saturday. 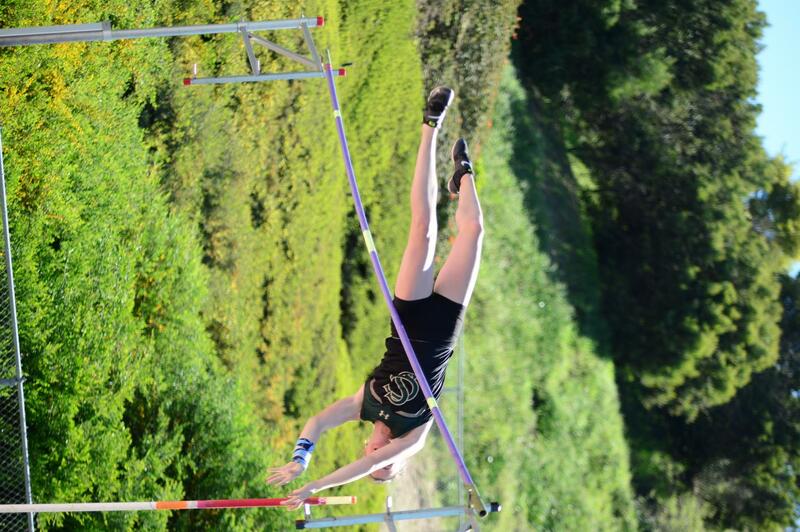 Last Thursday Grudman competed at a Tri Meet against Oceanside and Helix high school, breaking her previous personal record of vaulting 11’4 when vaulting a whopping 11’7, once again setting the school record. 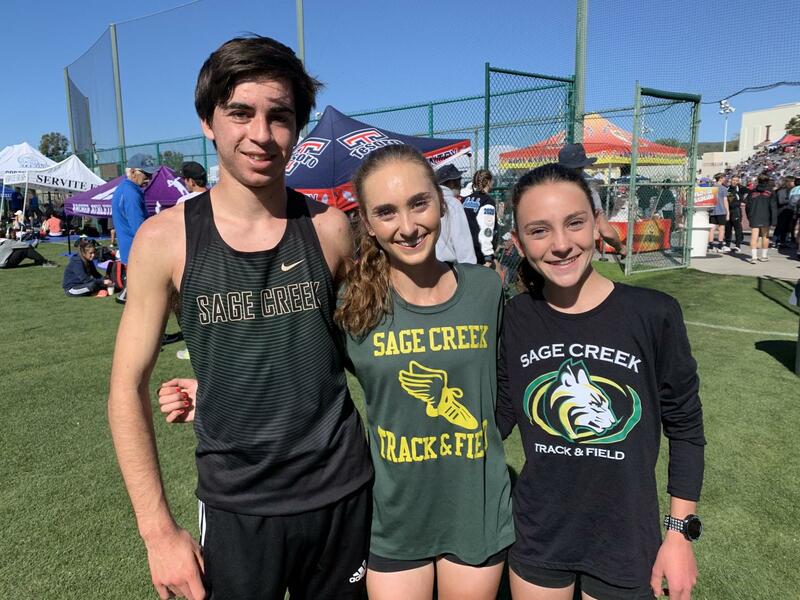 SCHS Track and Field long distance runners pose for a photo after racing the 2 mile at the Trophy Invitational on Saturday. Junior Skyler Wallace won her race with a 10:45 two mile with her sister, Stormy Wallace, right behind her with an 11:17. Senior Justin Morris also beat his personal record with a two mile time of 9:31. Junior Miguel Rojas turns in his team’s dodge ball sign-up sheet during lunch. 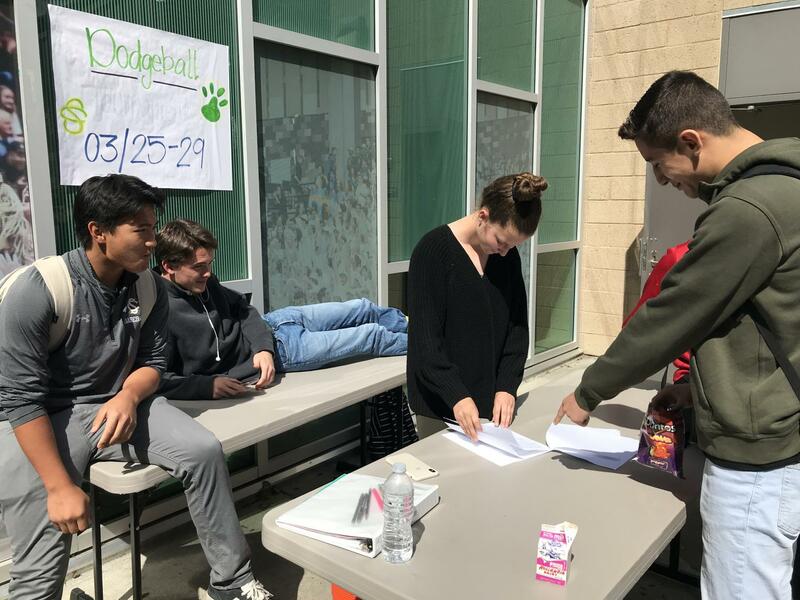 Through March 11- 15, ASB had student sign-ups at lunch for their annual dodge ball tournament that will be held March 25-29. 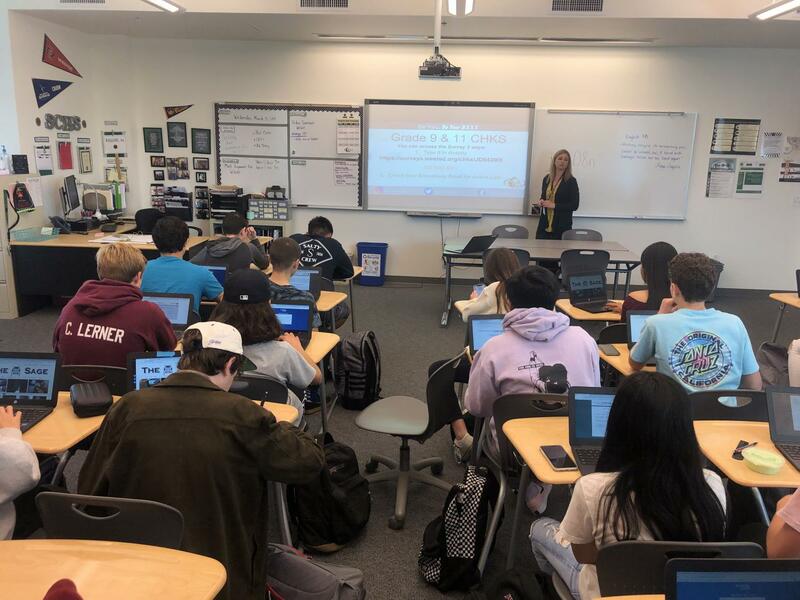 The freshman class taking the California Health Survey during their advisory period. 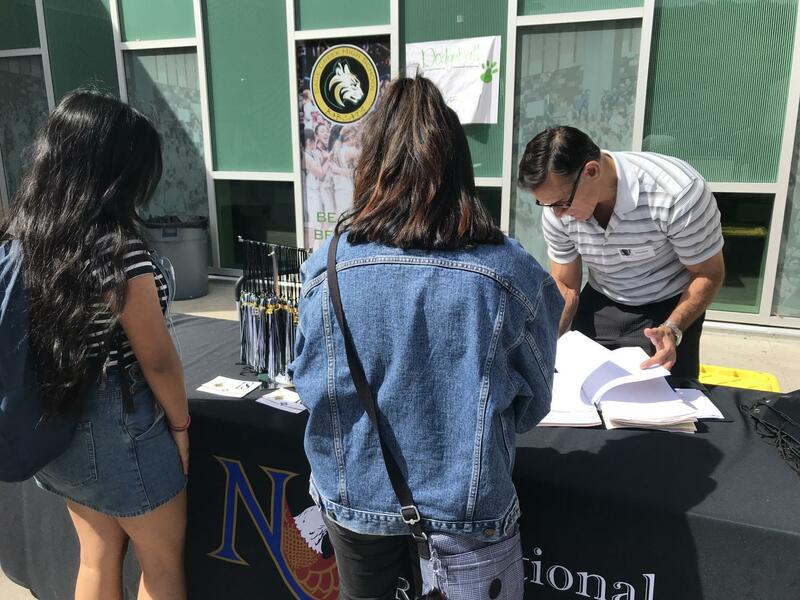 Both the freshman and junior class took these surveys to promote better health within high school students regarding drug abuse and violence. 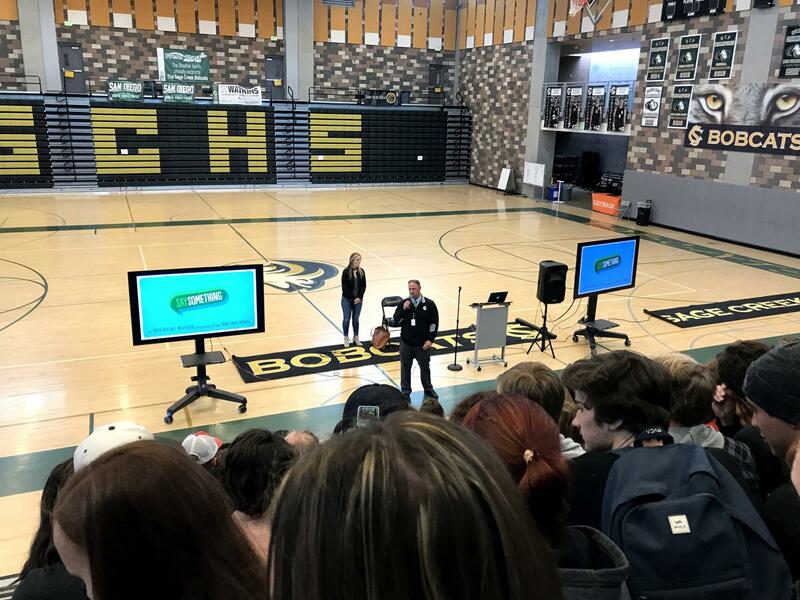 An ambassador of the Sandy Hook Promise Club stands in front of the class of 2018 addressing what it truly means to, “Say Something.” The senior class witnessed an informational presentation last Wednesday during the advisory period about what the Sandy Hook Promise is and how to take the first steps to identifying a situation that should be spoken up about in relation to teen violence. 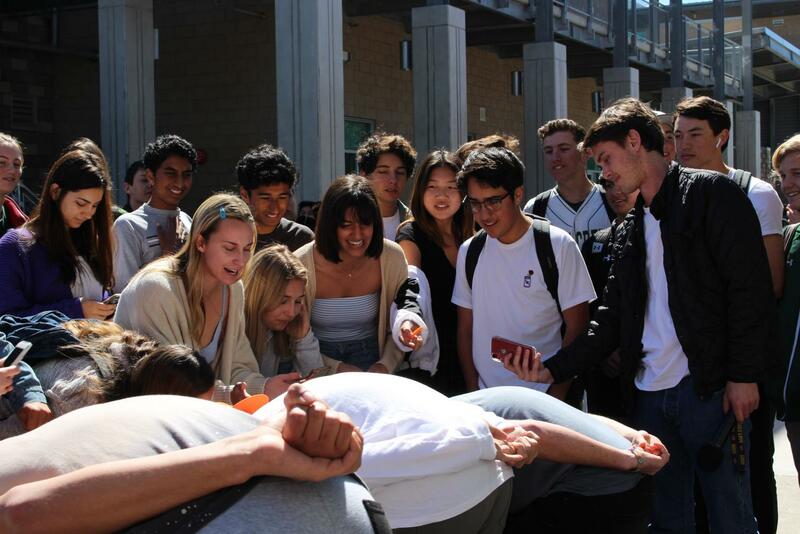 Students join to watch the various Pi day competitions. Senior heavy, the crowd cheers on Gavin Goddard in his pie eating contest. Senior Gavin Goddard takes a second to breathe in between bites of pie. Tensions were high during competition but ultimately the seniors took the win. 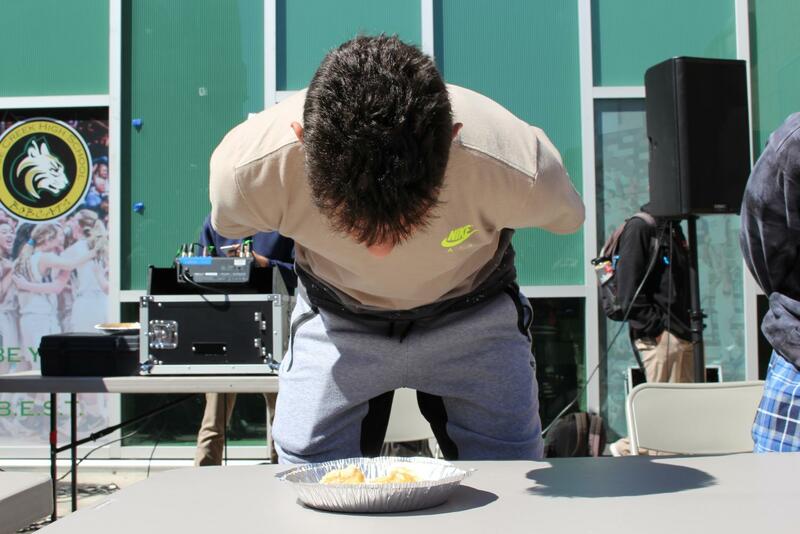 Sophomore Kasper Kasradze participates in a pie eating contest. 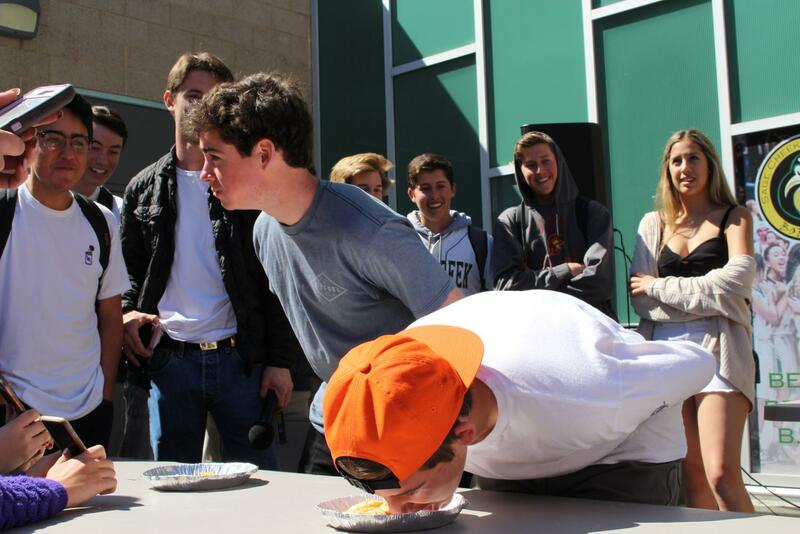 ASB celebrated Pi day at lunch with various contests and music while students gathered to enjoy. Jacqueline Salinas stands in line to collect items she purchased through NRP. On Friday, March 15, seniors who ordered hoodies, T-Shirts and other products were able to pick them up. With spring coming close, the poppy fields in Lake Elsinore are in full bloom. Walker Canyon, a public hiking trail, was flooded this past weekend with thousands of visitors just to see the magnificent spectacle. 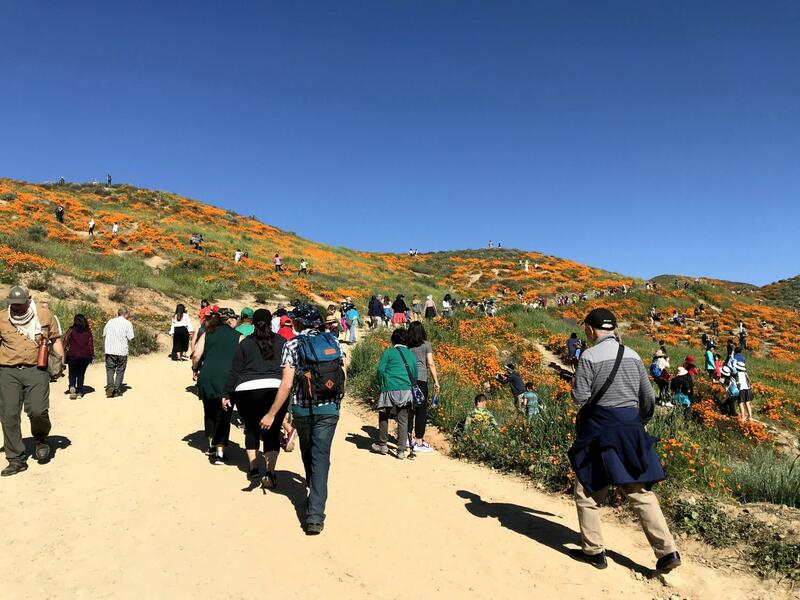 With all of the unexpected visitors grid-locking the Interstate 15 and blocking off roads throughout the city, the “poppy apocalypse” was shut down when the city closed off Walker Canyon to the public Sunday afternoon.